The ISU released the competitors for the ISU Grand Prix of Figure Skating events on Friday. Here is a list of the athletes for each competition and some more detailed information about their participation and the international field they will be competing against. Chicago area natives and 2014 Olympic Team Bronze Medalists Gracie Gold and Jason Brown will both be competing at Skate America this year, joined by fellow Olympic Team Bronze Medalist Jeremy Abbott and 2014 U.S. Bronze Medalist Mirai Nagasu. Brown competed in Skate America last year, where he finished fifth. He was a last minute replacement for 2010 Olympic Champion Evan Lysacek. This will be Gold’s first trip to the event, while Abbott competed there in 2012 and Nagasu in 2008, both placing fifth. 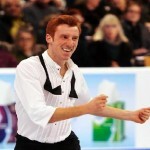 Skate America will be Abbott’s first competition of the 2014-2015 season. Abbott has decided to compete another year despite mentioning that the 2013-2014 season would be his last. The U.S. competitors will be joined by Olympic Bronze medalist Denis Ten from Kazakhstan and 2013 Skate America Bronze Medalist Elena Radionova from Russia. U.S. pairs teams Haven Denney and Brandon Frazier and Alexa Scimeca and Chris Knierim will be competing at Skate America for the first time. They will be joined by the Olympic Pairs Champions Tatiana Volosozhar and Maxim Trankov of Russia. In ice dance, with 2014 Olympic Champions Meryl Davis and Charlie White not competing this upcoming season, 2014 U.S. Olympic competitors Madison Chock and Evan Bates and Maia and Alex Shibutani have been assigned to Skate America. The Shibutanis won bronze at the event last year. Chock and Bates did compete in Skate America with their previous partners, but this is the first time they will compete at the event together. Olympic Team Bronze Medalist Ashley Wagner will be competing in this season’s Skate Canada alongside Courtney Hicks, 2012 U.S. Silver Medalist Adam Rippon and 2013 U.S. Champion Max Aaron. Wagner placed third in this event in 2011, while Hicks placed sixth in 2013. Rippon placed third and fourth in 2010 and 2011 respectively, while Aaron is making his Skate Canada debut. They will be joined in Kelowna by two-time European Champion, Spain’s Javier Fernandez and 2014 Canadian Olympic competitor Kaetlyn Osmond. 2014 Olympians Felicia Zhang and Nathan Bartholomay will also be in the field in Canada as the only U.S. pairs team assigned to the event. Alexandra Aldridge and Daniel Eaton and Madison Hubbell and Zachary Donohue will be comprising the U.S. ice dance contingent at Skate Canada this season. Hubbell and Donohue placed third at the event last year. This will be the first time that Aldridge and Eaton will be competing at this event. 2011 U.S. Silver Medalist Richard Dornbush will be returning to Cup of China after finishing fifth in this event in last season. He will be joined by 2014 U.S Pewter Medalist Joshua Farris. This is Farris’s first time competing at the Cup of China. For the ladies, 2014 U.S. Olympic Silver Medalist and Olympian Polina Edmunds and 2012 U.S. Junior Silver Medalist Ashley Cain will both be making her senior Grand Prix debut at Cup of China. They will be joined by Christina Gao, who competed in China in 2011 where she placed fifth. Tarah Kane and Daniel O’Shea will be representing the U.S. in China for the first time in their Senior Grand Prix debut and will be up against Volosozhar and Trankov. Maia and Alex Shibutani have been assigned to Cup of China as the only U.S. ice dance team in the field. They competed in China once before, in 2011, where they took home the silver medal. Aaron will be joining Brown and 2007 World Junior Champion Stephen Carriere in Russia this season. The U.S. women will be represented by Nagasu, Vanessa Lam, and Angela Wang. Nagasu placed third there last year, while both Lam and Wang will be making their senior Grand Prix debut in Russia. They will be competing against Fernandez and 2014 Olympic Champion Adelina Sotnikova of Russia. DeeDee Leng and Simon Shnapir will be making their debut as a partnership at the Rostelecom Cup alongside Denney and Frazier and Kayne and O’Shea. Chock and Bates will be joined in Russia by Aldridge and Eaton and 2014 U.S. Junior Champions Kaitlin Hawayek and Jean-Luc Baker. Chock and Bates placed third at this event last year. Hawayek and Baker will be making their senior Grand Prix debut in Russia. Olympic Bronze Medalist Elena Ilinykh will be competing for the first time with her new partner Ruslan Zhiganshin in their home country. Two-time defending Trophée Bompard Champion Wagner will be returning to France this season to defend her titles. She will be joined by Rippon, Dornbush, Hicks, and Samantha Cesario. Rippon competed in the event in 2009 and 2011 where he placed third and fourth respectively, and Cesario placed fourth last year. Hicks and Dornbush will be competing in France for the first time. Ten and 2014 Olympic team gold medalist Julia Lipnitskaia, of Russia, will also be at this event. Scimeca and Knierim will be the sole pairs representative in France and will be competing there for the first time. Hubbell and Donohue will be representing the U.S. in ice Dance at the Trophée Bompard and are competing there for the second time, having placed fourth in 2012. 2014 World Champions, Italy’s Anna Cappellini and Luca Lanotte, will also be skating in France. Abbott and Gold will be leading the U.S. field in Japan along with Gao, Edmunds, Farris, and Ross Miner. Abbott competed in this event last year and placed third. Miner skated in Japan in 2012 and placed third as well. Gold placed fourth there last year. Farris, Gao and Edmunds will all be competing in Osaka for the first time. Hanyu and Sotnikova will be in the field as well. Leng and Shnapir will be joining Zhang and Bartholomay in Japan to compete in the pairs event. Leng and Shnapir will be competing there for the first time with each other, though Shnapir did place fourth at the event just last year with his former partner, Marissa Castelli. 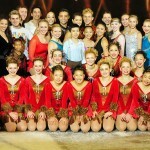 Hawayek and Baker will be representing the U.S. in ice dance in Osaka. They will be up against 2014 Olympic Bronze medalist Nikita Katsalapov, of Russia, who will be skating with his new partner Victoria Sinitsina. Katsalapov.